Gooding & Company....my favorite auction all year! Gooding & Company has reported preliminary sales of nearly $31m during its Amelia Island Auction. The auction house sold 78 of 88 lots, which resulted in an 89% sale rate and an impressive average price of $396,839 per car sold. Sixteen auction records tumbled, including the 1968 Porsche 907 Longtail, a 1958 BMW 507 Series II and a 1955 Ferrari 250 Europa GT, among others. 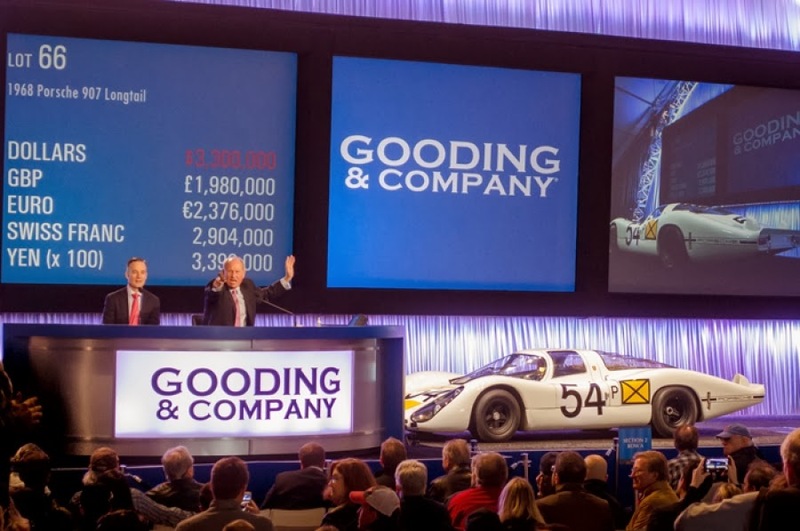 David Gooding, President and Founder of Gooding & Company said, "We were very proud of the outstanding results at this year's Amelia Island Auction. It was wonderful to see the room respond so well, with a strong sale total, which was up 11% from last year, and a number of world records. Throughout the sale, we saw collector demand for elite BMWs progressing on the same trajectory as Ferrari, Porsche, and Mercedes-Benz. Gooding & Company was proud to continue our successful record of offering high-profile racecars at auction such as the 1968 Porsche 907 and 1959 Porsche 718 RSK in Amelia Island." Leading the auction was the 1968 Porsche 907 Longtail, which sold for $3,630,000, a new auction record for a 907. Only seven of these racecars were built for the 1968 racing season. This car is finished in classic white Porsche livery, and is one of only two extant. In 1968, it was the first Porsche to win a 24-hour race as overall winner at the Daytona 24 Hours during the legendary Porsche 1-2-3 finish. This 907, a four-time Le Mans entrant, is perhaps the most successful 907, and achieved a First in Class win in 1971. Important Porsche highlights also included new auction records for: a very special example of the marque's original four-cam Spyder, a 1959 Porsche 718 RSK (sold for: $3,300,000), a numbers-matching 1973 Porsche Carrera RS 2.7 (sold for: $1,402,500) and a landmark supercar and one of Porsche's finest, 1988 959 Sport (sold for: $1,100,000). 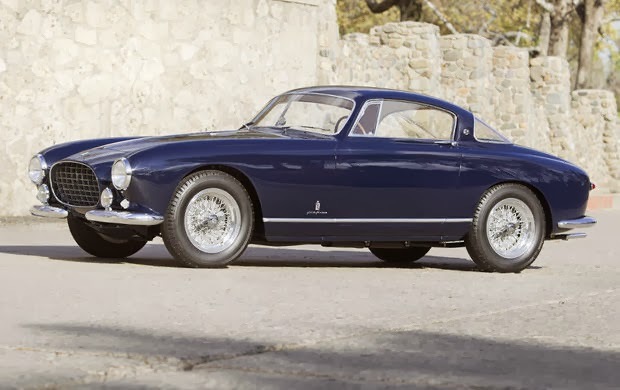 Another star lot of the Amelia Island Auction was a 1955 Ferrari 250 Europa GT, the most original surviving example of the model (sold for: $2,530,000) and a new auction record for a Ferrari 250 Europa GT. Having covered just 14,000 km from new, this exceptional car was recently displayed at Pebble Beach in the Post-War Preservation Class and at the Uniques Concours, where its exceptional originality garnered great praise. In addition, Gooding & Company was thrilled to present one of the most impressive collections of BMW automobiles to come to auction in recent years. Comprised of 18 unique, rare-to-market cars, this offering represented the best of BMW design and engineering from the 1950s to the 1980s. The collection brought more than $3.3m with stand-outs that included a new auction record for an extremely rare and very original 1958 BMW 507 (sold for: $1,815,000), as well as other V-8, Neue Klasse and high-performance models. And for my favorite pick of the auction this year.....1971-Maserati Ghibli Spider. I wish Maserati would go back to this style and design. This just makes me go, WOW! Even in that green.